Mario Kart 8 has fast become one of the biggest selling points of the Wii U, bumping up the popularity of the console almost overnight. With 32 courses classic and new, a brand-new take on Battle Mode, the addition of the Koopalings and the return of Bikes, not to mention the inclusion of Quads, anti-gravity sections a la F-Zero and, of course, the much-praised Super Horn, there's quite a bundle of content to last beyond the lifespan of the oft-misunderstood home console. Nonetheless, many players' thoughts turn towards the potential add-on content which could be available from the Nintendo eShop at a later date. Join us as we fantasise about additional characters and returning courses we would like to see. Please note that these ideas are purely fantasy and should not be taken as fact. Okay, let's begin! It's a high-altitude race through some truly treacherous circuits, from the steep, winding roads of Shroom Ridge and the steep climb of Rock Rock Mountain to the high-tech run through Toad's Factory and the scorching-hot battlements of Bowser Castle 1! Boom Boom slams onto the circuit in his début race, along with the cheeky Diddy Kong and the venerable Professor E. Gadd himself! 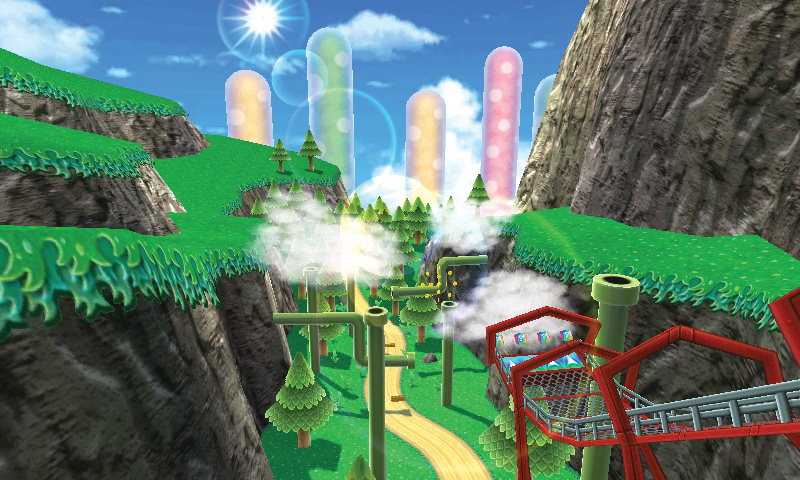 There's plenty of fun to be had in these tricky circuits, from the endless jumps of Wario Stadium and the frigid-cold Vanilla Lake 2 to the bouncy-fun Ribbon Road and the treacherous fireball-spitting statue in Bowser's Castle! Dixie Kong finally makes her Mario Kart début, along with the enigmatic Birdo and the mischievous Bowser Jr.! The name of the game is fun in these circuits, from the winding hairpin curves of Mario Circuit 4 and the stunt-ready slopes of DK Summit to the anti-gravity thrills of Wario Colosseum and the wandering Mecha Koopas inside Bowser Castle 4! Baby Wario is seeking glory for the first time, as well as the indestructible Dry Bones and the competitive Petey Piranha! You're in for a multicoloured treat in these circuits! A selection of fan-favourite Rainbow Road circuits are here for you to race, each with its own unique traits, from a bouncy course border and multiple anti-gravity loops and corkscrews to long, rainbow warp tunnels and even Super Stars raining from the sky! Cranky Kong's ready to show these young whippersnappers how it's done, along with King Boo and the long-awaited entrance of Kamek, the powerful Magikoopa! So those are our ideas for content packs in the near future. Let us know what you'd like to see by leaving a comment below! Big thanks to Super Mario Wiki for the images! Those packs would be amazing, but I'd also like to see new course packs as well and not just classic courses as dlc. Rukiafan wrote: Those packs would be amazing, but I'd also like to see new course packs as well and not just classic courses as dlc. Oopsie! I forgot to include one crucial little word...lemme fix that...there. 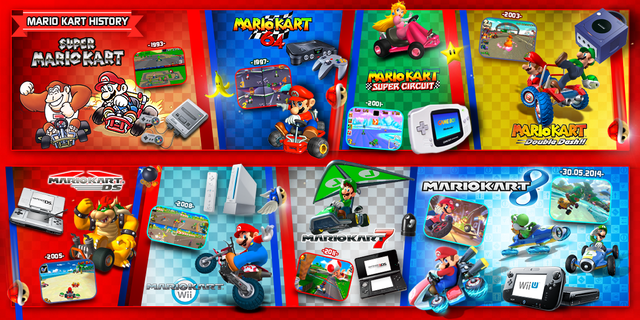 These would be really nice dlc packs for Mario Kart 8! I never grow tired of reading your features GamerZack! There's no image for Wii Rainbow Road. @Marioman18 wrote: There's no image for Wii Rainbow Road. The only image that I could find was unsuitable. Pack a is my favorite. I would love to see dlc like the ones in this article lol!